On the day that the Conservative Party unveiled their election manifesto, Labour has used the east to launch its attack, criticising David Cameron's failure to include the NHS at the top of his election pledges. Ed Miliband was in Stevenage where he made it clear that the NHS is Labour's priority. Addenbrooke's in Cambridge was named as one of the worst performing for A&E waiting times in our region. Major internal incidents were declared at Addenbrooke's and Peterborough City Hospital, with black and red alerts at others. The private company running Hinchingbrooke in Huntingdon pulled out of its contract for the NHS Hospital. 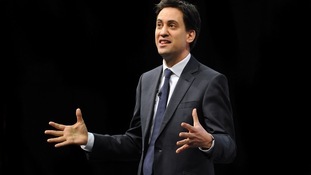 Today Ed Miliband said Labour would turn around the fortunes of the NHS with more resources. Politicians who recommend leaving the European Union risk making the country more vulnerable to terrorism, Ed Miliband has suggested during a Q&A in Stevenage. The Labour leader, who was in Paris yesterday to show solidarity after the Charlie Hebdo attacks, said cross-border co-operation over security was crucial. Speaking at an event with voters in Stevenage, Mr Miliband reiterated that he wanted the UK to stay in the EU. "Think about terrorism and counter-terrorism. We are much better working across borders to do that," he said. "Think about our economy... I just think we are much, much better working within the EU than not." Asked afterwards whether Mr Miliband thought the Paris attacks had strengthened the case for staying in the union, a senior Labour source said: "It's certainly his belief that security is one of the issues where working across the EU shows its obvious benefits. "We all remember from 7/7 that the European arrest warrant (EAW) played a vital role in bringing those suspects back to Britain. The EAW has been a very useful tool in dealing with security issues since it was introduced." Pressed on whether that meant politicians who wanted Britain to leave the EU were endangering people, the source said: "I wouldn't back away from that interpretation. "I think security is an important part of what the EU does." Ed Miliband has been taking part in a Q&A session with an invited audience in Stevenage. The Labour leader spoke for around 80 minutes this morning, answering questions from the group of pre-selected people at Stevenage Arts and Leisure Centre. Stevenage is a target seat that Labour wants to win back in the General Election. The Labour leader Ed Miliband has been in Cambridge today. He was campaigning in the Market Square ahead of the county council elections on May 2nd. It was part of a tour to the region that had to be re-scheduled following the death of Baroness Thatcher. The Labour leader Ed Miliband has been in our region today, launching his party's campaign for the 2013 local elections. This morning in Ipswich, he pledged to give councils new powers, to stop pay-day lenders and betting shops swamping our high streets. He also set out proposals to change planning laws so councils can refuse permission for certain businesses. The Labour leader Ed Miliband is due to launch his party's campaign for the 2013 local elections in the region today, Monday 8th April. Mr Miliband who recently held a policy launch in Bedford, will visit battleground constituencies in the East as part of a three day campaign.